Skai Jackson gets it from her mama. No, really. 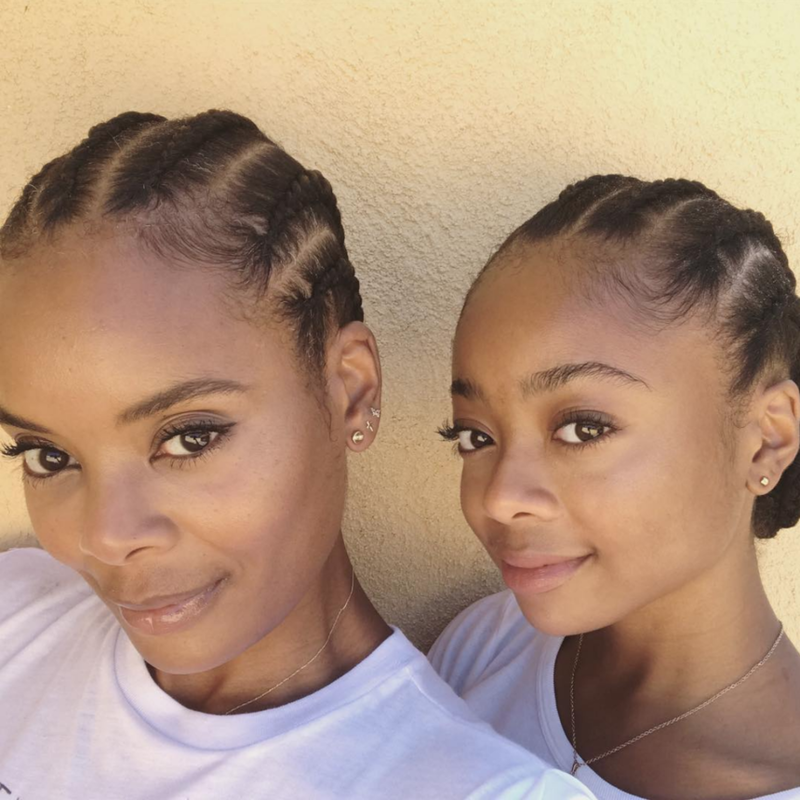 The 16-year-old actress and her mom, Kiya Cole, are out here looking much more like twins instead of a mother-daughter duo. In a recent photo Jackson shared on Instagram, she and the woman who birthed her are proving that Black don’t crack. Both women are sporting straight-back cornrows, fresh faces and white T-shirts. They even have an identical smize. Jackson posted the photo for National Best Friend Day, which is fitting for the inseparable pair who powered through the industry together. In an interview with Refinery29, Cole explained how, like any good mom, she monitors Skai’s social media and came to her defense when Jackson got into a Twitter fight with Azealia Banks. With a mommy like Cole, Skai won’t have to worry about losing her way in the biz or wrinkles for that matter. US 🖤 Happy Mothers Day to all the mamas! We went Nose to Nose to help end child poverty. Now we’re challenging you to join us! Noses are now on sale, so head to @rednosedayusa to learn how to #GoNosetoNose. And I'm feeling very #GirlPower in my new #RedNoseDay t-shirt designed by @VictoriaBeckham and featuring the Spice Girls. Proceeds will go to help children living in poverty. You can get your very own at omaze.com/spice. Happy birthday to my wonderful mom @kiyacole 💜💜 love this women to death! !